Summertime, and the livin is easy… That old, slow Gershwin standard conjures up images of sipping lemonade in a hammock on a sultry summer afternoon, doesnt it? 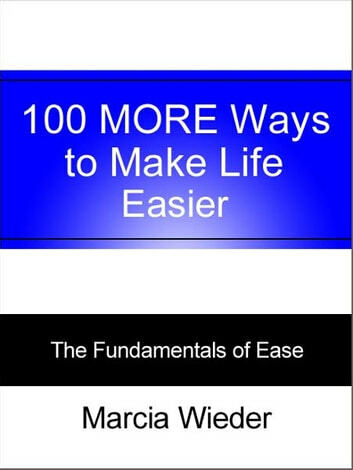 But that kind of easy living isnt quite what I have in mind when I encourage you to learn to live a life of ease. Designed for easy reading, each presents 100 thoughts, ideas and suggestions about how to discover your passion, do more of what you love and fill your life with ease. The ease Im talking about will aid you in bringing purpose, happiness and satisfaction into your life. 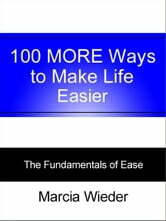 In this ebook, the companion to Fundamentals of Ease: 100 Ways to Make Life Easier, youll discover 100 more truths and suggestions for living a passionate life filled with ease, ideas that you can use as you take action to make your dreams come true.